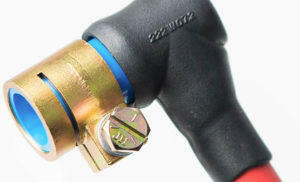 Rockford has been a wiring harness and cable assembly manufacturer for military, commercial aerospace and industrial applications in the UK since 1978. 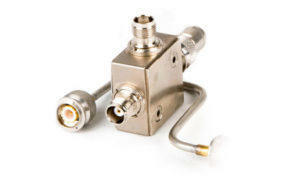 We offer complex multi-branch high-reliability systems involving multiple technologies. Designing, prototyping, building and manufacturing complex environmentally sealed, compact cable assemblies and wire harnesses with a simplified system topology coupled to an open-source supply chain for platforms which require high quality with a high degree of ruggedisation. 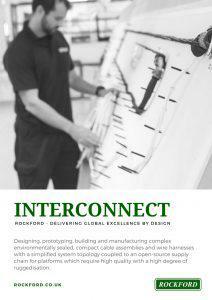 Rockford designs, manufactures and supplies harsh environment wiring harnesses, looms, and cable assemblies for the most challenging of environments. Rockford’s wire harnesses are designed to perform in demanding environmental conditions such as those with high vibration, extreme temperatures, chemical exposure, radiative stresses and mechanical shock. 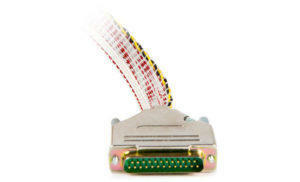 We manufacture build-to-print, built-to-spec and designed cable assemblies. 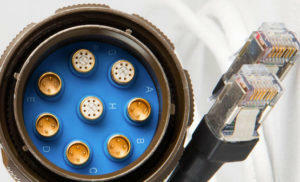 The cables can incorporate a variety of manufacturing aspects, including open loom, closed loom, high-speed copper, signal 40 AWG to 1000A power cables, RF and fibre optics assemblies. 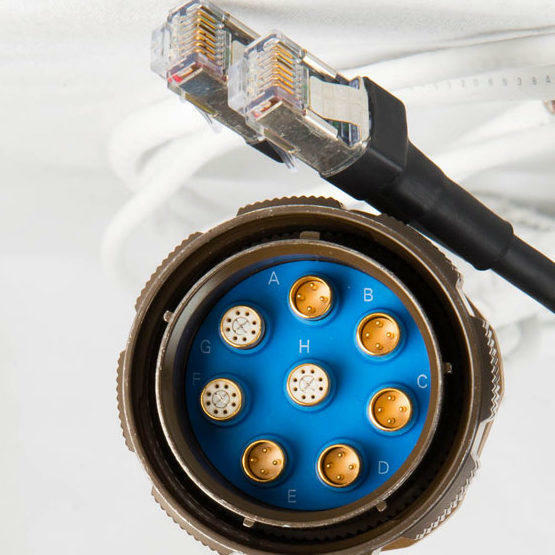 They range from older designs using conduit systems through to current technology utilising the latest high-speed connection technology and fibre optic terminations. Electrical cables assemblies are crucial to the performance of any commercial aerospace system, but are often considered late in the overall design process due to the validating and testing of the sub-systems. This means the cable development phase is often compressed, so it’s essential to choose the right partner for your electrical wiring harnesses, loom and cable assemblies. Aerospace wiring looms may include braiding to Typhoon J56.025 and PAN 6879, NOMEX braiding, laser marked wire using 3 x Capris C60 and 1 x Capris 60 with de-spooler, CLC laser identification marker, specialist tooling, ATE test interfaces, DITMCO interface looms, encapsulated assemblies, woven assemblies, and amalgamation rigs. 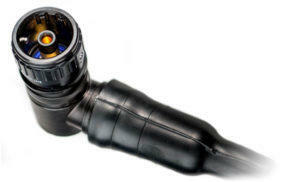 Enclosed cable assemblies can be built using all of the standard materials and systems including; TE Connectivity System 25 (DR-25), 100 (ZHTM) and Viton. 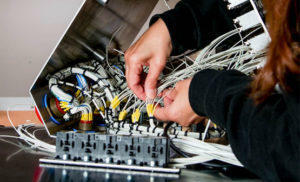 Rockford’s experience as a cable assembly manufacturer ensures that all products built and assembled are environmentally sealed and of the highest quality. 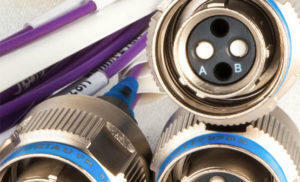 Rockford has 40+ years of experience designing and manufacturing custom cable assemblies & wiring harnesses. We’re now the largest independent provider of wiring, interconnect and system solutions in the UK, and work in aerospace, defence and industrial markets. Our HarnWare wiring harness design software outputs 2D manufacturing drawings, wiring schematics and BOMs, and with the use of HarnVis can output a 3D CAD model of the entire wire harness design or individual components. Customers include; Pilatus, UTC Aerospace Systems, Airbus, Lockheed Martin, General Dynamics, CMI Defence, BAE Systems, Williams Fairy Hydraulics, Thales, and Moog.